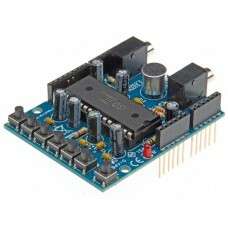 The Velleman Audio Shield is an Electronic Kit that allows our Arduino to playback recorded sounds. 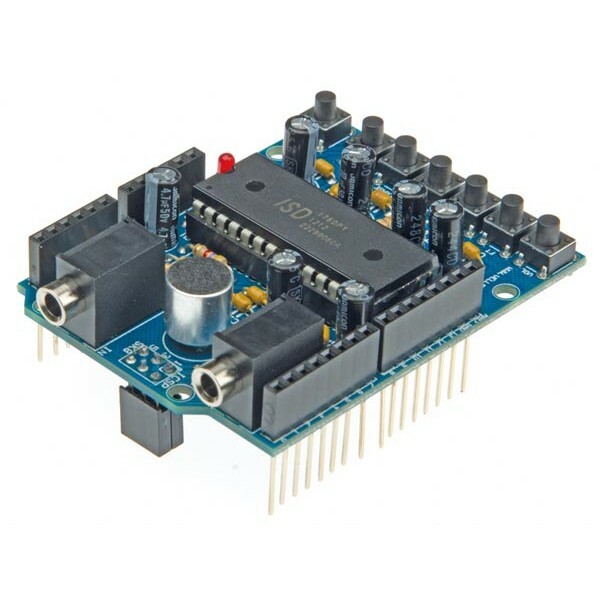 Use this Arduino shield to record up to 60 seconds of audio using the built in microphone or a 3.5mm line in jack. Audio is played back via a 3.5mm line out jack or by attaching your own speaker. Recording and playback can be controlled by buttons on the shield or by the Arduino. The circuit is based on the Nuvoton ISD1760PY Multi-Message Single- Chip Voice Record & Playback Device. Manual recording and playback are accomplished by using REC, PLAY, FWD, ERASE, VOL, RESET and FEEDTROUGH buttons mounted directly on the shield. Record and playback function can be controlled by the Arduino playback via SPI commands over the ICSP connector. An Arduino demo with library code is provided to get you started. This shield uses stackable headers so that additional shields to be used with your Arduino. 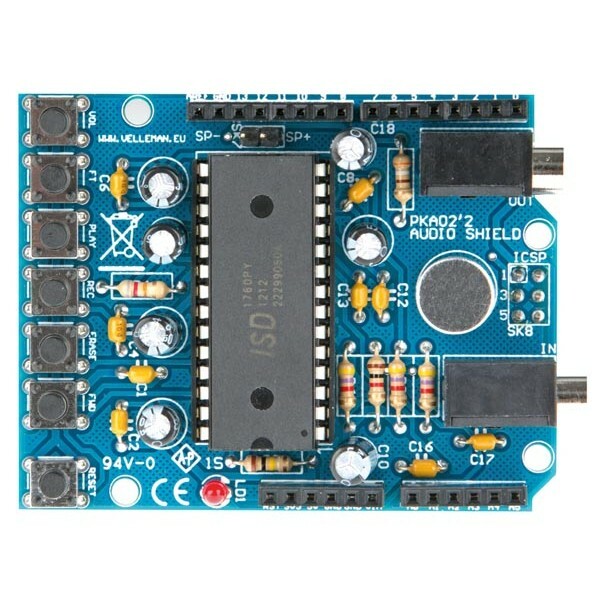 Use this shield to give your Arduino based robot a voice. This electronic kit requires intermediate soldering skills.